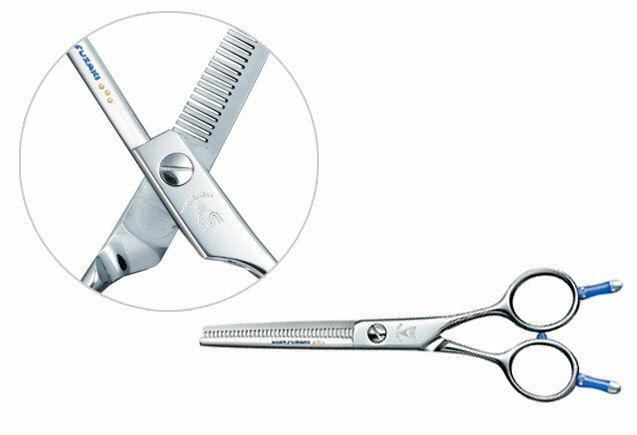 One of the basic thinning scissors accepted by everyone and can be used in reverse. Please use it mainly for the adjustment of hair volume, cutting ratio is approx. 40 to 50%. As this FS5537D scissors has the smaller size of finger ring, fitting feeling of fingers can be obtained. V groove. It holds hair steady and cuts much.